One of the greatest thrills in business is acquiring a new customer. But many businesses are too caught up in the excitement of acquiring new customers that they do not spend enough time or money on unlocking the value of their existing customer base. It surprises me how often business fail to regard their existing customers as one of their most valued assets. There may not be the same excitement in getting orders from existing customers, but this is where the real profits are made. It is generally accepted among most marketing experts that it costs at least five times more to acquire a new customer than it does to get an order from an existing customer. There are many ways that you can unlock the value of your existing customer base and in this article, I will explore some of those ways with you. 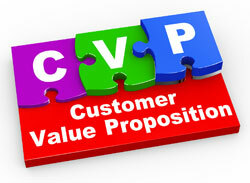 To unlock the value of your customers requires that you have a range of products that will fulfil their needs. Products should be carefully chosen to ensure they are of the right quality and will meet customer needs. Your customers will often tell you what they need if you listen to them carefully and with respect. This can save you a lot of time and cost in market testing of new products. Gather the preferences of your customers and monitor their buying habits. This can provide you with very valuable information. To get valuable ideas, look at some of the things Amazon does. For example, Amazon allows people to subscribe to updates on various different types of books. That way, they are able to provide information on a regular basis that the customer is interested in. Amazon also has an author update service. You tell them who your favorite authors are and, whenever there is anything new by that author, you receive an email notification. They also have a facility, where for the book you are considering purchasing, that lists suggested other titles based on what other people bought. Regularly review your customers’ buying habits. This can reveal information on offers that you can make that meet their needs. Providing them with a solution to their problem will lead not only to further sales but also strong goodwill. Customer service can be one of your strongest weapons in the battle to retain your customers. Make every effort to personalize responses to customer enquiries. Do not send standard form emails if you can avoid it. While this will take more time, the rewards will be far greater. Be quick to honor guarantees. This will show that you mean what you say and will build strong credibility. Too often, tardiness and slow responses lead to lost credibility and lost future value of a customer. When you are treating your customers as the most important people to your business, they will find the experience rewarding and will return often. Remember, the more you put into looking after your business’s major asset, the more profit you will make. A side benefit is that your customers may even refer their friends and associates to your business resulting in a steady flow of new customers with a very small customer acquisition cost. Kevin Sinclair, CPA, is the author of Be Successful! Business & Personal Success Resources. He is the author of 2 free ebooks: “Success Secrets” & “How To Choose A Home Based Business”. Kevin is also the publisher of “Be Successful News” – a free website dedicated to your online business success. Previous article: What’s Your S-E-R-V-U Quotient? Next article: Is Your Business Easy to Buy From? Improve Your Customer Service First!